Defense Minister Avigdor Liberman on Friday announced that Maj. Gen. Aviv Kochavi is his top candidate for the next commander of the Israel Defense Forces, ending a months-long selection process. Kochavi, who now serves as IDF deputy chief of staff, will need to be approved first by an official vetting committee and then by the cabinet before he can take over the post from Lt. Gen. Gadi Eisenkot, who has been in the position since 2015. Eisenkot’s four-year term as chief of staff is due to end on December 31, 2018. 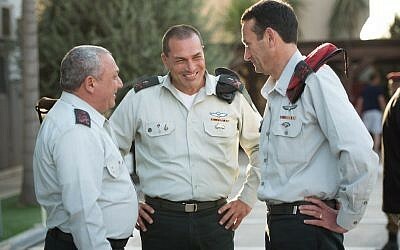 Deputy Chief of Staff Kochavi was seen as the front-runner for the position, having served as the head of the IDF Northern Command and head of Military Intelligence, following years as a field commander in the Paratroopers Brigade. If he is approved, Kochavi will become the IDF’s 22nd chief of staff — but its first vegetarian one. Kochavi, a husband and father of three daughters, has a bachelor’s degree in philosophy from the Hebrew University, a master’s degree in public administration from Harvard University and a second master’s degree in international relations from Johns Hopkins University. 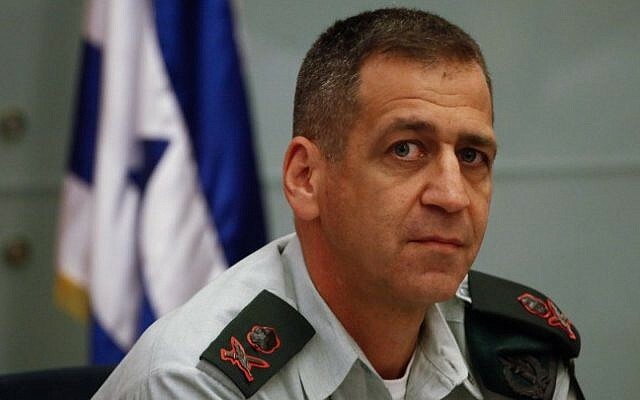 He beat out the other three candidates who were considered for the position: former deputy chief of staff Maj. Gen. Yair Golan, former IDF operations chief and current project leader on the fight against Iran Maj. Gen. Nitzan Alon and former IDF Southern Command chief Maj. Gen. Eyal Zamir. Zamir, who previously served as military secretary to the prime minister, was reportedly considered Prime Minister Benjamin Netanyahu’s top pick for the position. Nevertheless, Netanyahu is expected to give his approval for Kochavi’s candidacy. Kochavi was scheduled to appear before the Senior Appointments Advisory Committee, led by former judge and state comptroller Eliezer Goldberg, for approval on Sunday. Once he receives the consent of the vetting committee — as he is expected to — Liberman will bring Kochavi’s candidacy for confirmation before the government. Following Liberman’s announcement, politicians from across the political spectrum also came out in praise of Kochavi. “I am convinced that the military will continue to grow stronger and stand ready for every mission,” Ben-Dahan said in a statement. 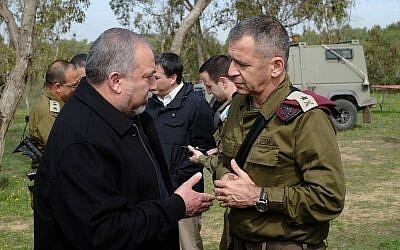 Liberman made his choice following three months of official consideration and multiple interview with the candidates, senior defense officials and IDF chief Eisenkot. He informed Netanyahu and Eisenkot of his decision on Friday. “The defense minister also spoke with the other three candidates for the position of chief of staff and thanked them for their professional, respectful, courteous and gentlemanly conduct,” his office said.